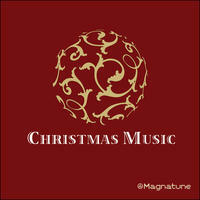 Magnatune Compilation : Christmas Music. The best music from magnatune. Create a toasty, elegantly merry mood with the Magnatune Christmas Compilation featuring over 60 minutes of the most timeless and classic carols of the season as played by ten different best-selling artists from Magnatune Records. The predominantly instrumental selections range from the simple acoustic guitar of James Edwards to the rich viola de gamba of Ralph Rousseau Meulenbroeks and the snowy, sparkling harp of Cheryl Ann Fulton. A few select vocal pieces include the absolutely angelic sounding Con Brio children's choir as well as the renowned women's vocal ensemble, Kitka. This is one of those albums to which you'll return again and again, season after season, and it's absolutely perfect for holiday dinners. License The best music from magnatune by Magnatune Compilation for your project. Play the music of Magnatune Compilation in your restaurant or store.